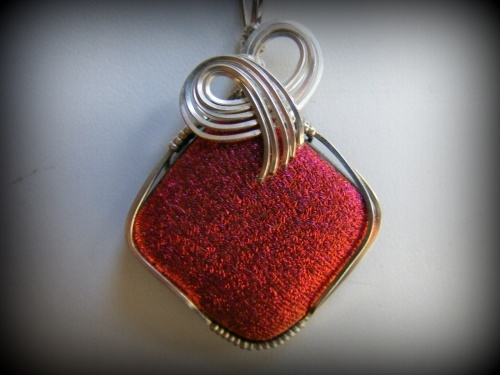 This plush red handmade fused glass piece is soooo rich looking. Satin color on a rough surface makes this piece so unique. Designed with sterling silver curls and frame. Piece measures 1 7/8" from top to bottom and 1 1/4" wide. Comes with a sterling silver snake chain.